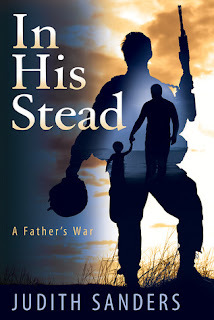 In His Stead explores the tension, devastation, strength, and love of service families during wartime through the story of one man, Retired Army Ranger Thomas Lane, as he attempts to make the greatest sacrifice for his son. Lane once burned for the taste of gunpowder and thrill of the battle. But as he struggles to cope with his own PTSD and the death of his eldest son who was killed by an IED in Afghanistan, Lane learns that the price of war is far too dear. Now the National Guard is calling on Lane’s youngest son to serve. Consumed with sorrow, Lane knows he will do anything to save his child—even if it means going in his place. In His Stead follows the tumultuous battle of Thomas Lane as he navigates the United States Army, its JAG corps, a vengeful officer, the very son he is desperate to save, and his own wife, who has the Solomon like choice of losing either a husband or a son. Capturing the essence of family life in wartime—the good, the bad, and the hopeful—In His Stead explores what it means to be a father and a man. Judith Sanders received her B.S. from Graceland College and worked as a registered nurse for over twenty years, including serving the military as a nurse in Maryland and Texas. As a civilian nurse at an Army research facility, she handled special immunizations for the military and civilian research staff. The military, and more precisely, war has been the backdrop throughout Judith’s life. As a civilian nurse Judith had the honor to serve the military at Fort Detrick in Maryland. Her brother served in Japan after the Korean War. Judith’s husband, Frank, served with the U. S. Army for seven years as a physician and during the first Gulf War. The Vietnam War took high school friends and extended family and debilitated others (PTSD and injuries). Now she has two grand nephews, one in the Marines, the other the Army, who have just returned from their first tours in Afghanistan. Judith is blessed to have been allowed into the lives of the many soldiers, civilians serving for the military, patients, and family who were kind enough to share their stories. Judith is an avid reader and a natural storyteller. She feels the best stories are those based on real people living and struggling through this life one chapter at a time. A mother of three boys, Judith now makes writing her full time career and divides her time between her homes in New Hampshire and North Carolina.